Your payslip – Is it taxable income or gross income? Chances are if you work for a boss, you receive a salary slip every month. On one side of your payslip is money coming in and on the other side is money going out. At the bottom, it says what’s left, and let’s be honest it’s never enough, is it? 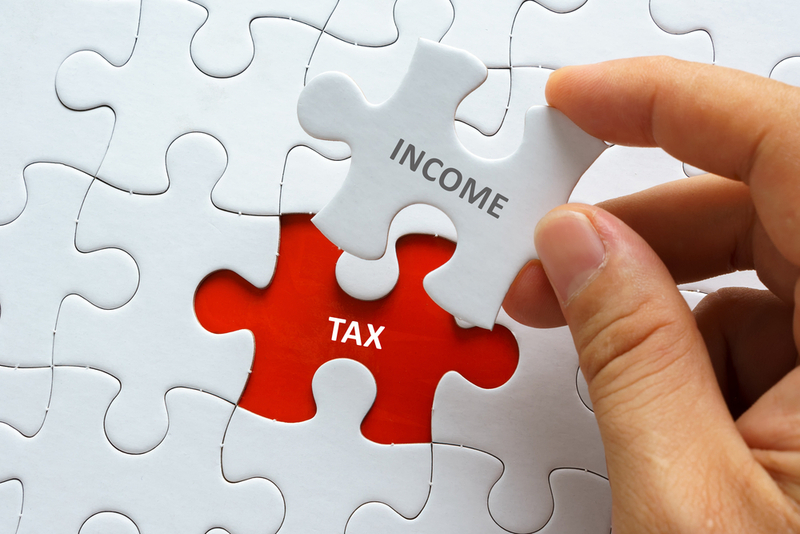 The Income Tax Act defines gross income as the total amount, in cash or otherwise, received by or accrued to you, excluding receipts and accruals of a capital nature. Without getting too technical, you can see that your monthly salary is an amount of cash received by you. This means it’s gross income. Does that mean that any other type of cash I receive must form part of this gross income? This means that the rental income received from your garden cottage should also be declared. The receiver of revenue will, of course, wish to tax you on all the above. If the only tax you’ve been paying so far is the tax on your monthly salary, it could mean you owe even more in taxes. Let’s take Mike as an example. Mike has an investment at one of the banks and earns 5% nominal interest per annum. R23,800 divided by 5% means he can invest R476,000 into a Money market account (or fixed deposit) and not pay a cent in tax. Dividends paid by South African companies to you as a shareholder of the company are tax exempt. This is because dividends are taxed in the hands of the company before being paid out to you. However, any other type of dividend paid to you, let’s say, for instance, your employer pays you a dividend for services rendered, is not exempt from tax. Another one which is exempt from tax is maintenance payments (Do we hear a collective sigh of relief?). There are a few other exemptions, but since this isn’t the point of this article, we’re going to move on. After all these exemptions are deducted from gross income, we’re left with what the receiver of revenue calls income. It doesn’t take a rocket scientist to fathom that if the only income you receive is from a salary, then your gross income is your income. Did you notice that none of the exemptions help in reducing the tax you must pay on your salary? Why do they call it income and not taxable income? That’s because the receiver of revenue wants to give you one last chance at lowering your taxes. The truth is, the receiver wants to incentivise you to take care of some of your own problems. They don’t want you to become their problem one day when you’re old and possibly sickly, so what better way to incentivise you than with a tax break? It’s at this point where you’re allowed to claim certain deductions. Once these deductions have been made, the receiver calls “time-out”, and that’s when your Income becomes Taxable Income. What kind of deductions are we talking about? This depends on whether you’re self-employed. If that describes you, then you’re allowed the general deduction whereby you can claim any expenses related to the carrying on of your business. Basically, these expenses must be incurred in the production of income. We’re assuming you’re not self-employed and so we’re heading to the specific deductions. The one you and I are most interested in is the contributions made by a taxpayer to retirement funds one. Remuneration is what you earn from your place of work, while taxable income would include any passive income you might earn over and above remuneration. By now you should have noticed that to qualify for a deduction, there needs to be an expense. In this example, you need to contribute to an approved retirement fund. What’s unique is that even your employer’s contribution to your retirement fund is allowed as a deduction in your hands. In the past, it wasn’t so. However, basing your contribution to retirement funds solely on what your employer pays you could be a mistake. You need to take into consideration all forms of income earned by yourself. This is known as gross income. But hang on, you can’t calculate your retirement deduction just yet. What if you qualify for any exemptions from tax? After deducting all your exemptions, you finally get to income and now you’re ready to calculate your contribution to retirement funds. If your sole source of income is your monthly salary, then you’re good to go with calculating your retirement fund deduction. If you qualify for the general deduction, or any of the specific deductions which come prior to the retirement funds deduction, then those first need to be deducted before doing this calculation. Do you know what’s easiest? Get yourself an accountant to do all of this for you. That’s what we do!